March 16, 2014 By Tina M Leave a Comment This post may contain affiliate links. Read my disclosure policy here. I know St. Patrick’s Day is Monday, but I got really excited for Easter this weekend and couldn’t help doing a couple Easter posts. 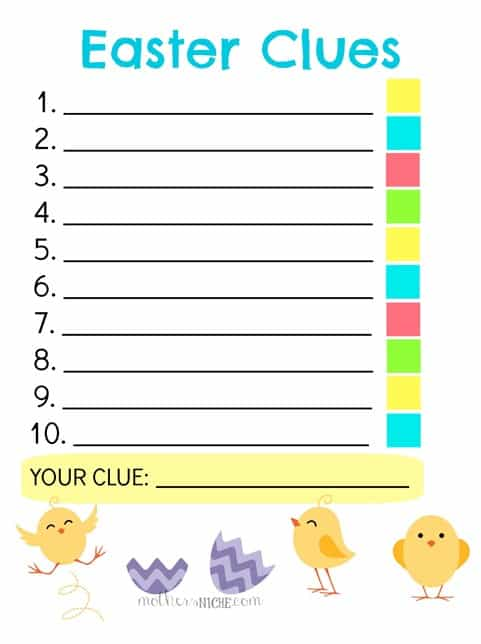 I hope you enjoy these fun Easter Printables. 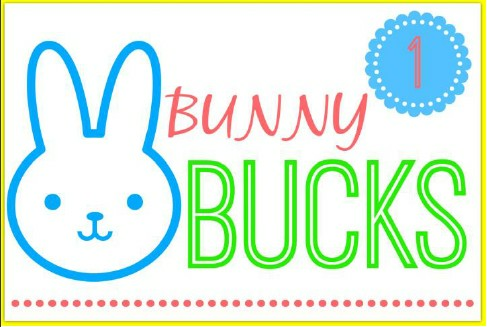 In my post on Creative Easter Egg Hunt Ideas, one of the ideas was to hide bunny bucks with the eggs. These can be redeemed in the “bunny store” for various Easter prizes. 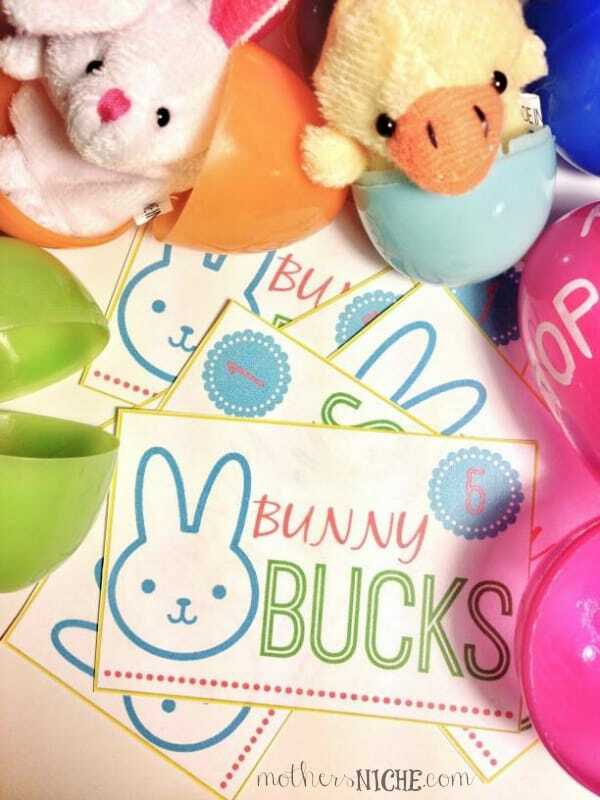 I found a few printable bunny bucks on Pinterest, but I wanted something more colorful, so I made these. My idea for this came from here, but that particular puzzle said “2012” on it and I wanted one for this year. I purposely made it generic so that you can customize it how you want. The puzzle can form a clue to where your kid’s Easter baskets are hiding, or anything else. 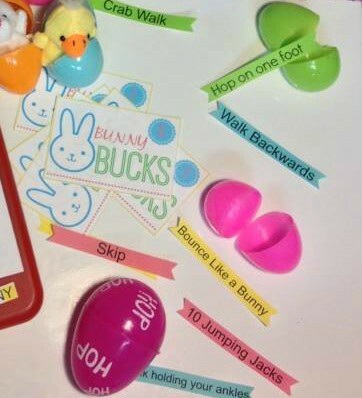 In my Easter Egg Hunt post I also mentioned slipping little “relay” type activities for the kids to do as they proceed on to each egg. 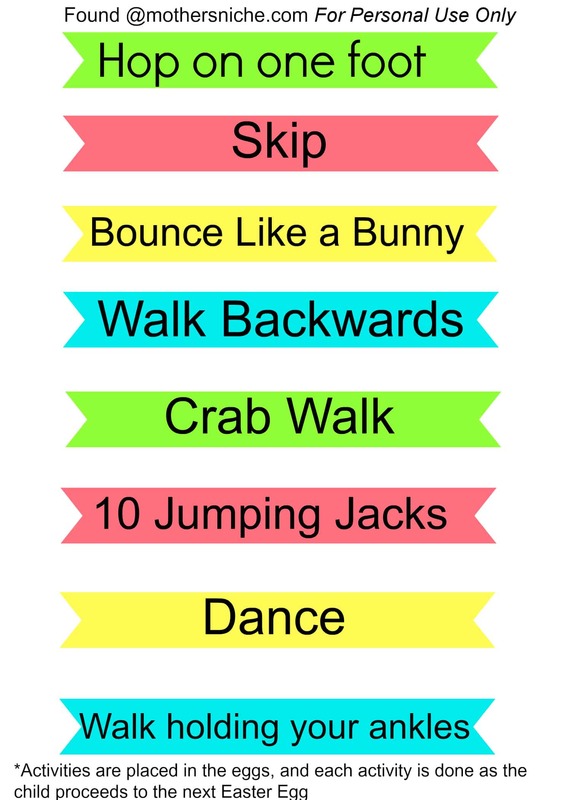 Things like “Hop on one leg” and “skip.” Just another fun way to enjoy watching the kids hunt for eggs. And if you’re looking for more fun, printable activities for your kids, check out My Bible Quiet Book which can keep your kids entertained for hours.